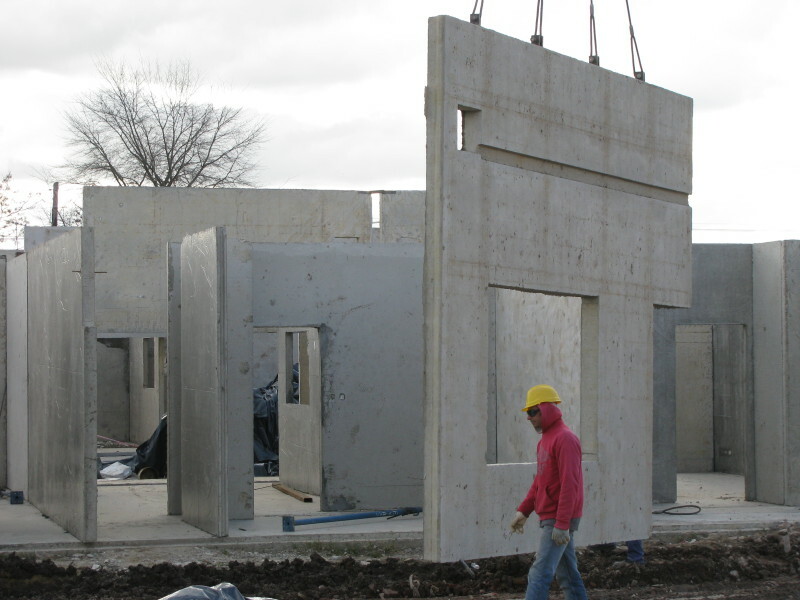 In a combinable precasts system, the panels or slabs are casted one on top of the other. These panels or slabs can have an inner styrofoam layer or can be completely solid. The casts are design specifically for each project. They are done on a workshop and assembled on site. They are adjustable. They can be used for several panel measurements. The panels and slabs are done either in the whole area to cover or in parts according to the maximum load that the crane can bear. 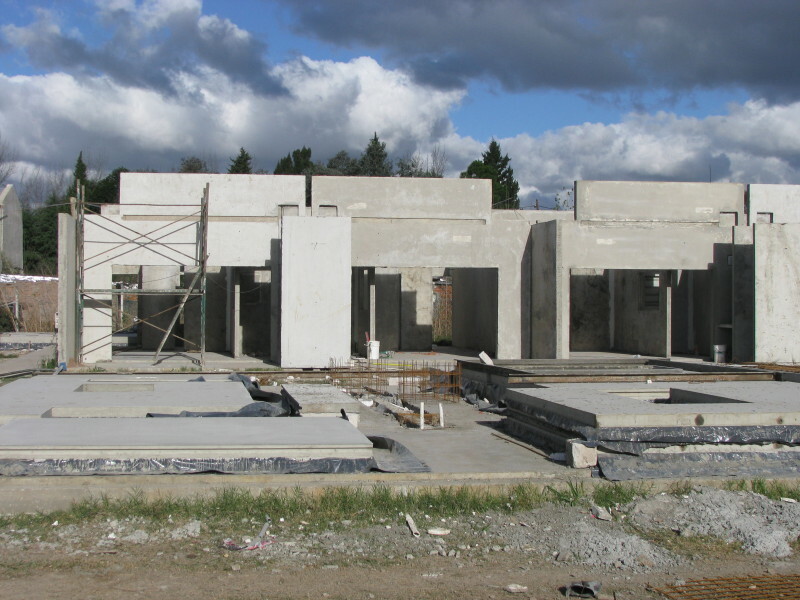 Styrofoam or cardboard boxes are added to the cast in order to produce a framework in two directions which eases the weight of the slab or panel. It is ideal for Housing Developments, schools, industrial buildings and prisions. Solid panles with thermal insulation. Flat slabs with no beams. Incluyendo el diseño y asesoría para el cálculo estructural de las losas, todos los detalles constructivos, planillas de ejecución, y cómputos de cantidad de hormigón y hierro. Realizamos la capacitación en obra al equipo de trabajo. 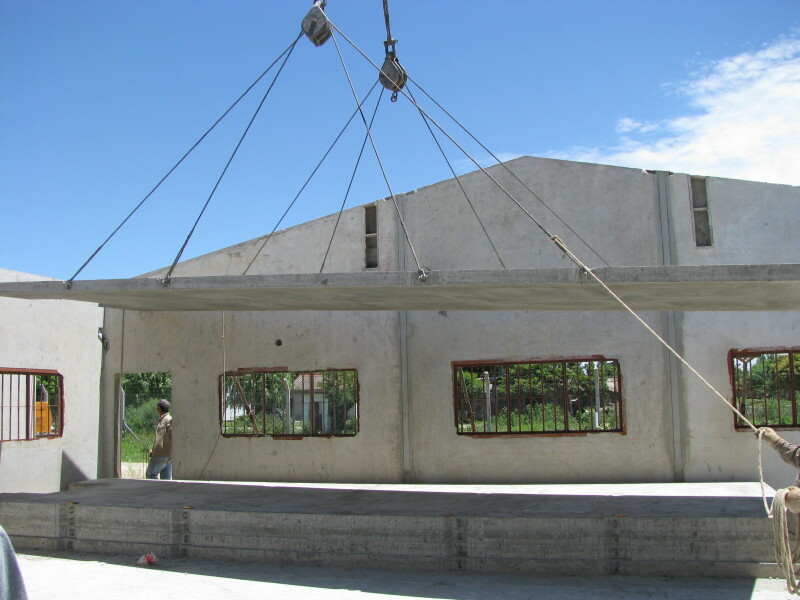 Design and structural calculation, constructive details, execution forms and concrete and steel quantities. Instruction and Training on site for the work force. During the different phases, applying check lists as a quality control method. On site provision of PRENOVA metal casts. Assessment on optimizing the architectural project.